As many as 410 incidents of attacks, harassment and threats on Christians were reported in India in the first six months of 2017, the highest ever since the country's independence, according to figures compiled by partners of Open Doors. Attackers are generally from or influenced by groups associated with the governing Hindu nationalist party. "When the Christians are beaten by the extremists, they receive injuries mostly on their heads or their vital body parts," a local partner of Open Doors was quoted as saying in the report. "The assaulters do not care if the person dies in the attack. They know that they will not be punished because the government (and hence the judiciary) will take their side. In most of the cases the assaulters go unpunished." In one case, Hindu nationalists beat an evangelist with chains, stripped him and forced him to drink urine, according to another recent report. In a separate incident, a Christian cemetery was desecrated and skeletons dug up and strewn across the graveyard. Apart from physical attacks, Open Doors' partners recorded 37 incidents where Christians were socially boycotted and 34 incidents where Christians were forced to leave their homes. The report notes that the group's founder, M.S. Golwalkar, said, "The non-Hindu people in Hindustan (referring to India) must either adopt the Hindu culture and language, must learn to respect and revere Hindu religion, must entertain no idea but the glorification of the Hindu religion, that is they must not only give up their attitude of intolerance and ingratitude toward this land and its age-long tradition but must also cultivate the positive attitude of love and devotion instead; in one word they must cease to be foreigners or may stay in the country wholly subordinated to the Hindu nation claiming nothing, deserving no privileges, far less any preferential treatment not even citizen's rights." The RSS wants India to be "unified under one religion, one culture, and one language," the report says. "India used to be an example of religious freedom and tolerance," an Open Doors spokesperson said. "We call upon India and the international community to do everything in their power to protect the millions of people who are persecuted because of their faith. The hate campaigns should stop and police should act against anyone who harms another person because of his or her faith." In March, more than 100 members of the U.S. Congress wrote a letter to India's interior minister, urging him to allow U.S.-based Christian child sponsorship organization Compassion International to continue its work in that country. The charity recently ended its programs in India amid an ongoing crackdown by the BJP government on nonprofits that receive foreign funds. The Indian government's treatment of Compassion International has "caused serious concern within the U.S Congress," said the letter addressed to India's Home Minister Rajnath Singh. 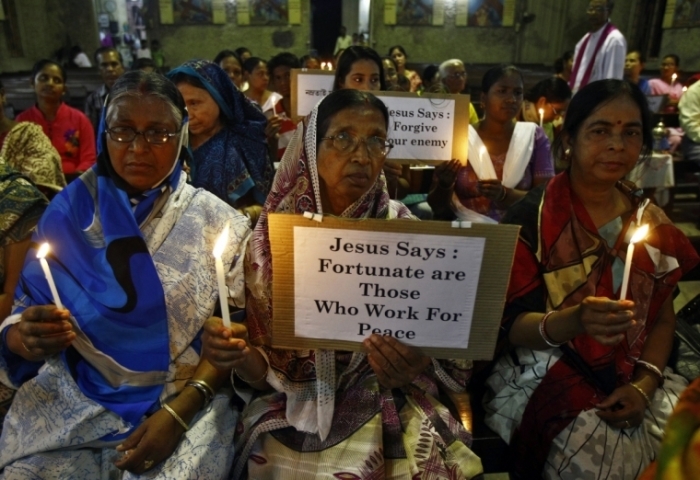 The Indian government alleged that Compassion was funding religious conversions.